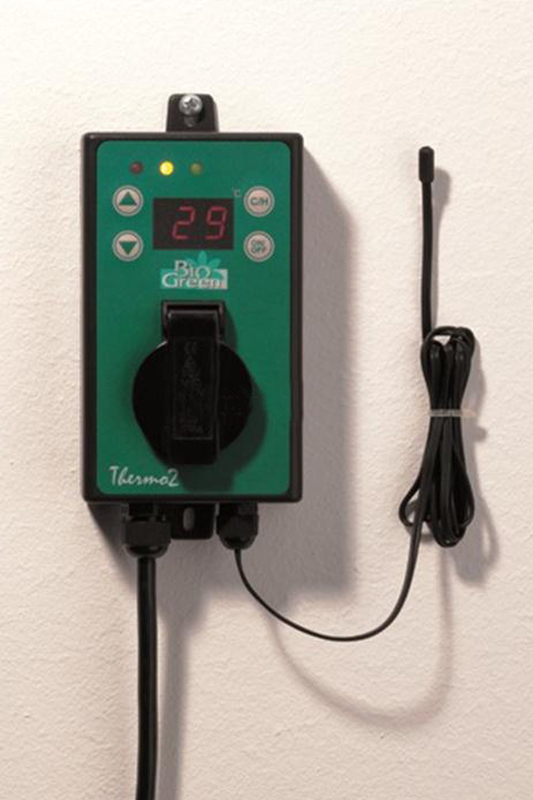 The Thermo 2 is the ideal climate controller for your greenhouse. Now with a double thermostat function, you can now cool your greenhouse in summer or heat in wintertime. Thermo 2 is very easy to use for controlling heaters or fans up to 3000 W. You can now obtain maximum economy and temperature control by using the Thermo 2. -function 2: heating your seed beds. -function 3: heating in winter with heating cables, mats and etc.